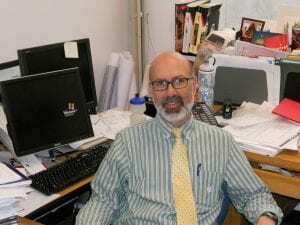 Peter Furth is a Professor of Civil Engineering at Northeastern University. He earned his BS, MS, and PhD degrees at MIT, finishing in 1981. His transit research covers routing and scheduling, data collection, ridership estimation and modeling, and transit signal priority. He has been a consultant to more than 25 transit agencies nationwide. Peter also does research in traffic signal control and in bikeway design. In the summers, he teaches a course in the Netherlands on Design for Sustainable Urban Transportation, exposing American students to Dutch best practices in transit- and bike-oriented urban planning, bikeway design, transit priority, and traffic safety.